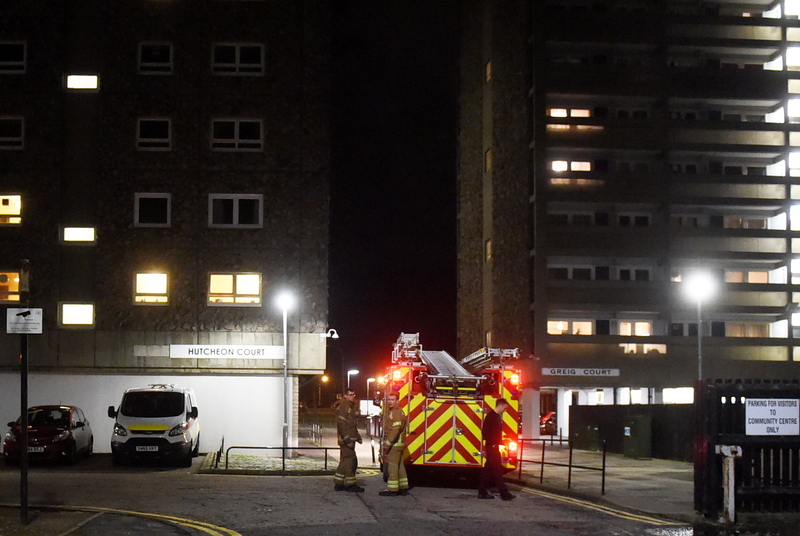 Emergency services were called to Hutcheon Court at 7.30pm this evening, and are still on the scene. A team of firefighters is investigating within the high rise, and have finished checking the properties belonging to residents on the ninth, 10th, and 12th floor. It has been confirmed that the smell is thought to originate from a fire panel in one of the flat’s communal areas on the sixth floor. 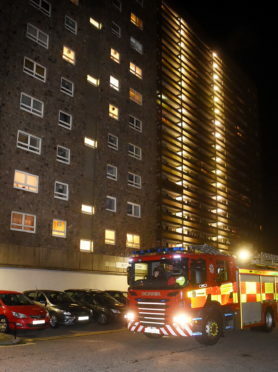 A fire spokeswoman said: “We still have a team on site investigating the source of the fire. “They were called after a resident reported a burning smell, and are currently checking the floor and individual properties. There are currently four fire engines and a specialised height vehicle on the scene.